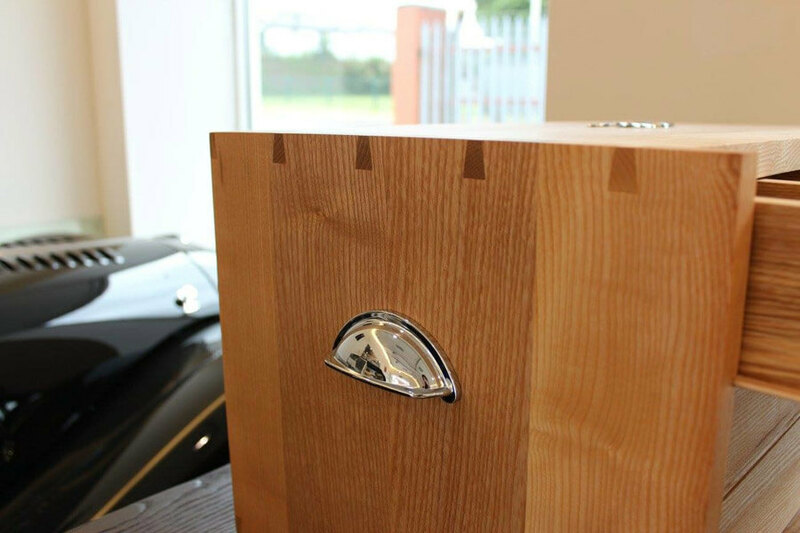 It was a great pleasure to work in collaboration with Morgan Motor Company as their business ethos is complimentary to my own. 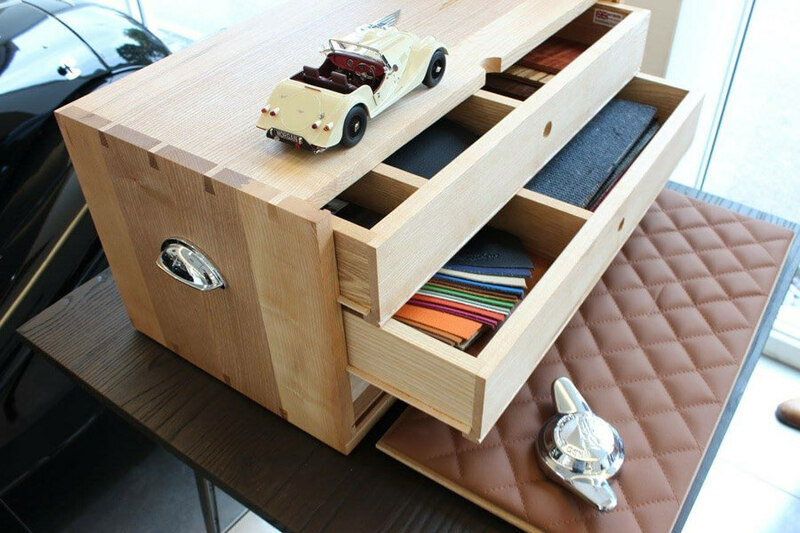 The brief was to design and make a product that was practical to use, in keeping with Morgan style, and user friendly. 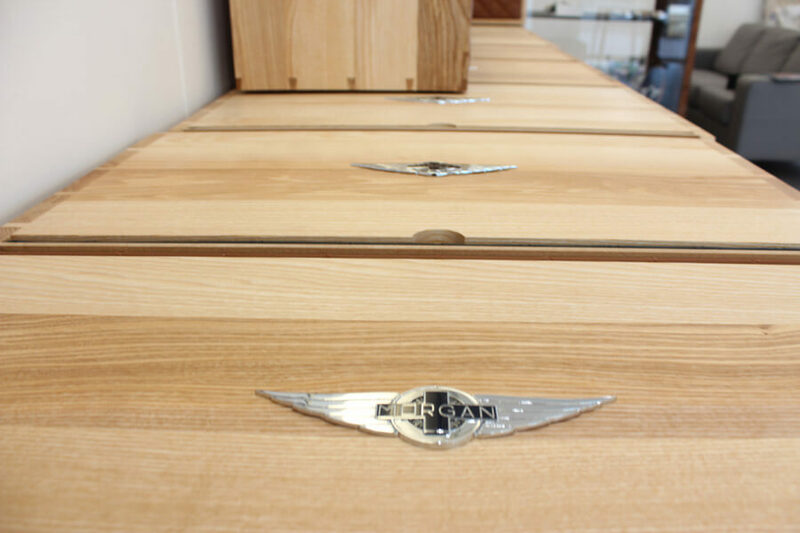 The box will be available to future clients of Morgan dealers internationally and will display options for their bespoke built vehicles. 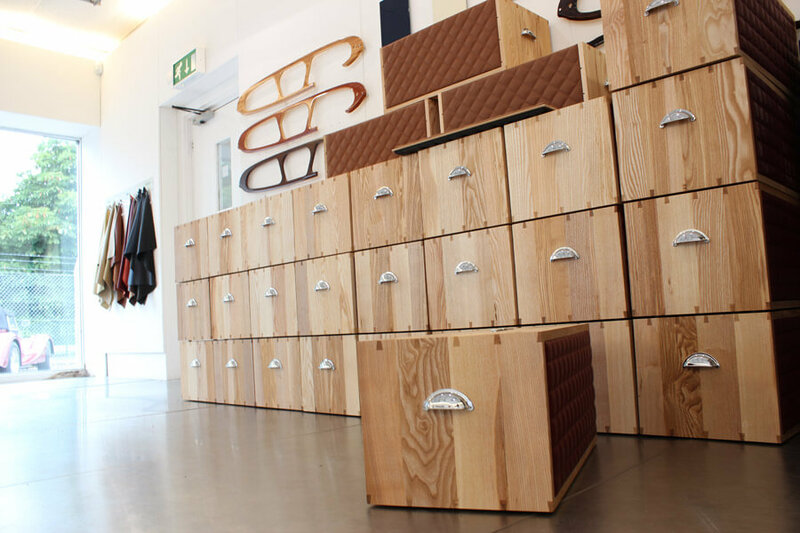 The selection within the box comprises samples of paint, timbers, leather, carpets and more. There are three leather samples of stitching patterns, one on the back and two on the double sided pull out flap which doubles as a presentation board for other samples to be laid. 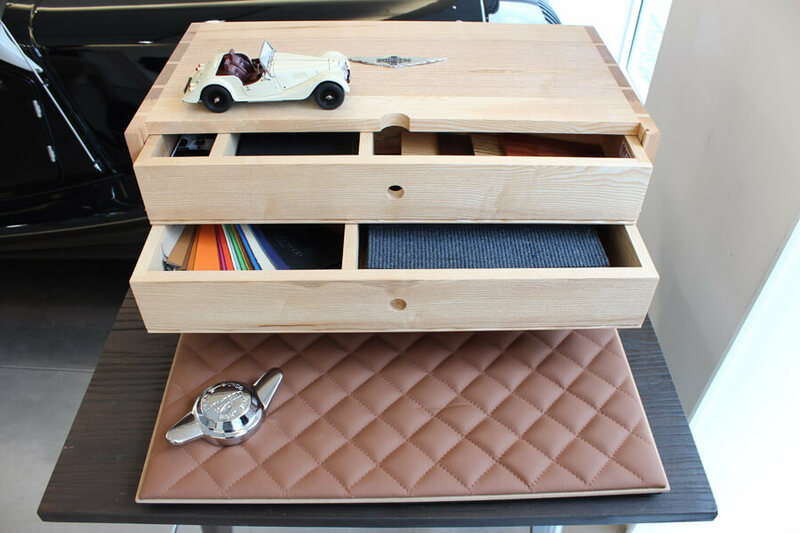 For the box I used Ash timber sourced from the same supplier as the timber used in the construction of the Morgan motorcar. 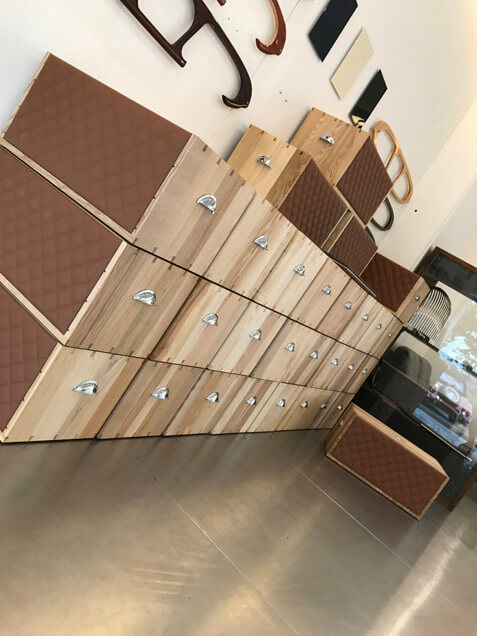 There are 120 sets of traditional dovetail joints holding these thirty boxes together, delivering maximum strength and superb visuals.